Welcome to Day #1 of And Now for Something Completely Different Theme Week. 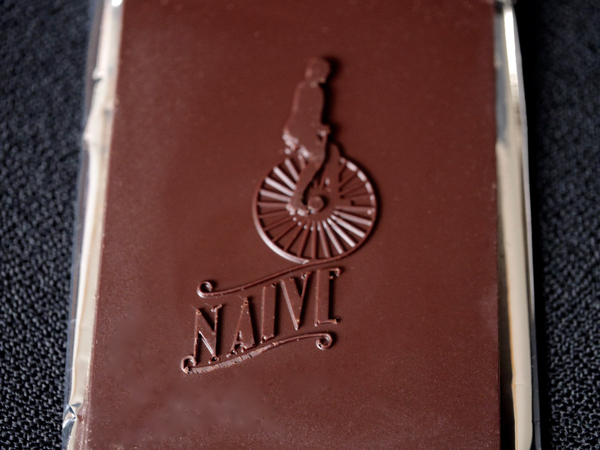 We kick off this unique week with a Hops Organic Dark Chocolate bar from Chocolate Naive (Rudamina, Lithuania). 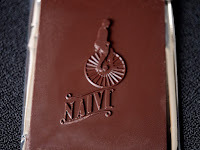 Chocolate Naive head, Domantas Uzpalis, makes bean to bar chocolate in a small town in Eastern Lithuania, with similar high standards held by small batch chocolate makers worldwide. 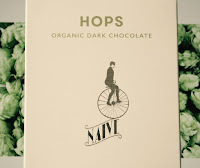 Today's Hops Organic, Dark Chocolate bar tasted a bit beer-like and was part of the company's "Back to the Origins" collection. It was relatively smooth and creamy in texture. The 67 percent bar had the faint aroma of a malty, frothy beer, and an interesting flavor ride with pleasant flickerings of light bitterness from the hops. 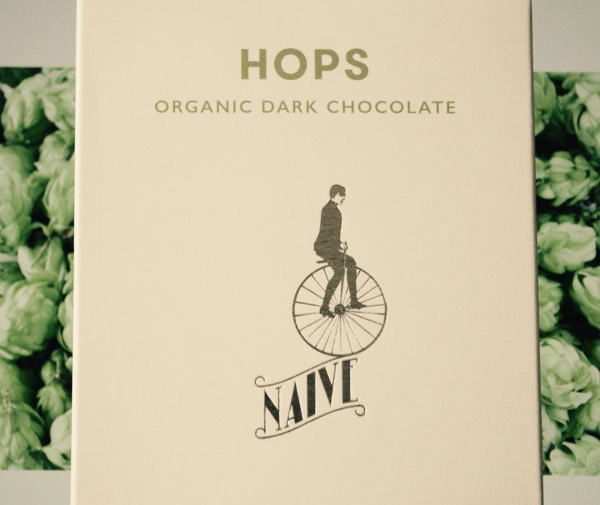 Blending two edibles that people feel passionate about—craft chocolate and hops/beer—may have been risky. Chocolate fans and beer fans may have felt that one flavor might defile the other. But, for those who want to try an artful, creative blend of the two, I recommend giving this happy best of both bar a try. 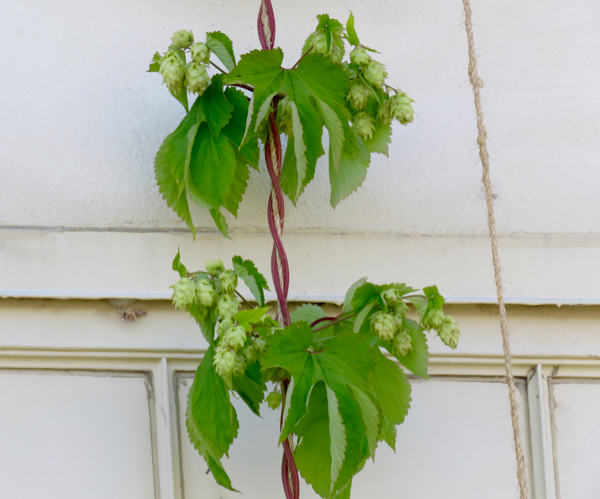 Hops are the green flowers/seed cones of the hop plant that are used as a flavoring and stabilization agent for beer. They're also used in other beverages and for medicinal purposes. 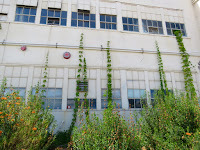 Adjectives used to describe hops flavor notes include: bitter, spicy, zesty, citrus and pine. 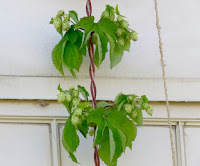 Hops grow vertically up tall trellises. 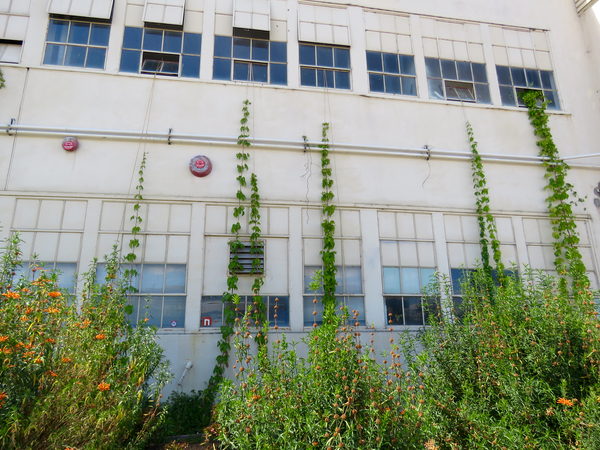 A few months ago, I was delighted to see some crawling up the side of an old airplane hangar now used as a craft brewery (Faction Brewing) in Alameda, CA.